'Of Spirit and Splendor' will be exhibited at ReDot Fine Art Gallery. 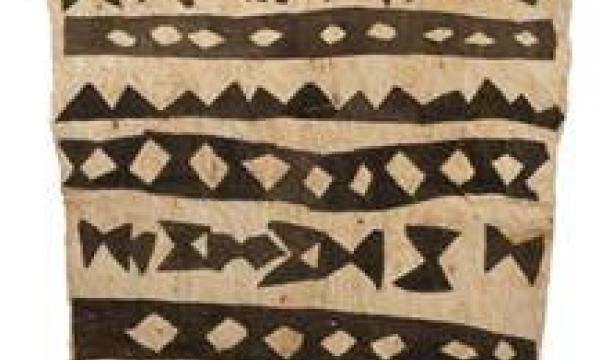 According to a release, ReDot Fine Art Gallery announced that the internationally celebrated Ömie women artists of Papua New Guinea will return to Singapore for a monumental exhibition of their barkcloth paintings this March. Following on from the hugely successful inaugural show in 2011, Of Spirit and Splendour will present a stunning selection of new work by the most exciting and talented artists from across the extremely remote Ömie mountain villages around Mount Lamington in Oro Province. Ömie art is much admired for its rich, complex and diverse expression of abstract symbols pertaining to the natural world as well as to ancestral tattoo designs. Created primarily by senior Ömie tribeswomen, the barkcloths or nioge are the outcome of a long period of apprenticeship. Within their respective marital and birth clans, females learn the techniques, laws and customs that lead to the production of these beautifully crafted, spiritually rooted artworks. Powerfully tactile, the nioge that feature in this exhibition are made from veils of beaten tree bark, which are then painted in an earthy palette of colour made from bush dyes. Traditional customs dating back thousands of years are still used today, as these dyes are painted onto the material using painting sticks and brushes fashioned from a variety of rainforest plants. Both traditional motifs and original visual expressions of ancestral Ömie knowledge adorn the artworks, which are still used in both ceremonial as well as practical contexts, such as bride price gifts and clothing. Following on from three exhibitions in the USA in 2012, including prestigious museum shows at the Fowler Museum in Los Angeles and the de Young Museum in San Francisco; Of Spirit and Splendour promises to reveal the phenomenal breadth of this traditional yet contemporary, living visual art form once again here in Singapore. One of the most unexplored and untouched regions in the world, this area has an exceptionally diverse range of traditional tribal cultures which remain very much alive. Both Singapore’s and Australia’s proximity to the Pacific and Papua New Guinea has generated growing curiosity and interest in researching and collecting Oceanic art. Highlights of the exhibition will be the finely worked and powerful paintings by the Paramount Chief of Ömie women, Lila Warrimou (Misaso), as well as arresting, minimalist sihoti'e mud-dyed barkcloths by the last two women remaining who create their designs with a unique and ancient sewing technique using bat-wing bones, Sarah Ugibari and Brenda Kesi (Ariré). On viewing these paintings, with their exquisite, microcosmic detail, one can’t resist being transported to the mysterious mountain world of the Ömie, where through each symbol like a small secret revealed, it becomes irrepressibly apparent that, for the Ömie - land, culture and art are all synonymous. The creation of the nioge is an affirmation of the strength and endurance of Ömie culture and in this current renaissance of Ömie barkcloth paintings, these rare gems are being keenly collected by most significant tribal collections. The logistics of facilitating and servicing the artists across 12 remote villages in a developing country is immense and ReDot Fine Art Gallery is honoured to be able to bring such astonishingly beautiful artworks into the gallery to share with our audience, something only a few have been able to experience worldwide.